My doctor prescribed that I take long walks four days a week. Now that I am working only two days a week, it is much easier to comply. This morning, for example, I walked from Pico and Pacific down to where Windward meets the ocean—along two miles of “boardwalk” including parts of Santa Monica and Venice. 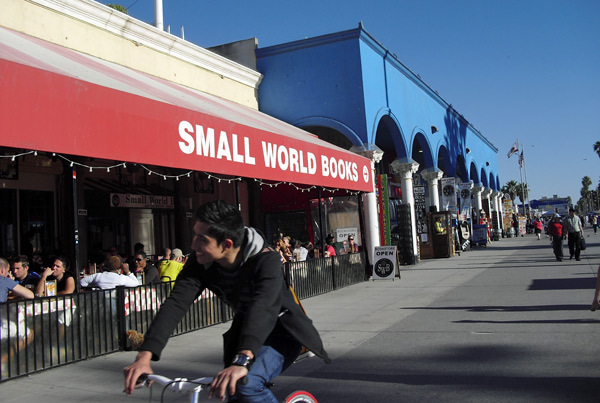 My destination was Small World Books, one of the few remaining independent bookstores in West Los Angeles. When I walk south, I go along Bundy to Venice Boulevard, where (not coincidentally) Sam: Johnson’s Bookshop is located. 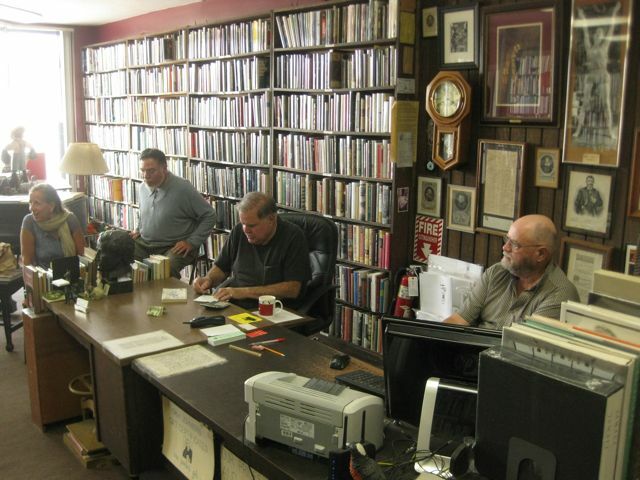 It is easily the best used bookshop for miles around. Do I head west? Then my turnaround point is the three-story Barnes & Noble on the Promenade in Santa Monica. Even with bookstores disappearing at an alarming rate, I have this book-buying habit that I have to somehow keep within reasonable limits. On my long walks, bookstores are like the raisin in the oatmeal. They give me a tangible reward for all that exercise. When the temperature begins to heat up, I may have to join an air-conditioned health club that has treadmills and exercise bicycles. Hot weather is a powerful disincentive to outdoor exercise.